The property was clean and convenient, there were basic cooking utensils which was helpful and everything was new and in good condition. The beds were comfy and it was a good distance from the city. No effort taken by the hosts to make my stay comfortable. The apartment was very new and facilities were good. The apartment was big, clean and confortable. Also the location was good, close to the city centre. We enjoyed our stay here. The host was on time for meeting however did not have a key fob for the building so we could not get past the lobby. This was resolved within 40 minutes and the host came back and provided the fob. 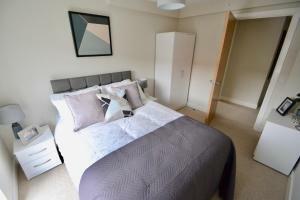 The apartment was very clean and modern, Good location not to far out from the centre. Its great accommodation and size if its 2 people. Living space is good. Actually bigger compared to others I have been in the city. Service needs improvements. 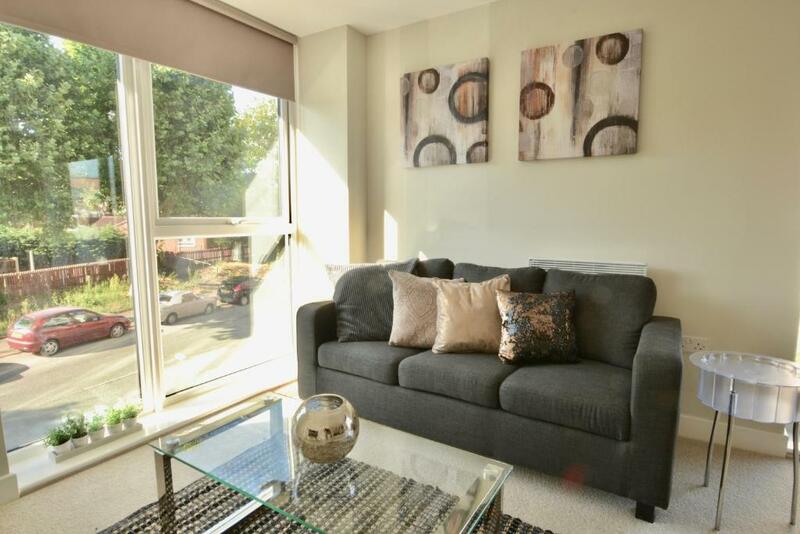 Felt comfortable, smart tele with Netflix, very spacious, close to shops an city centre. all an all such a lovely apartment. One of our top picks in Manchester.Set in Manchester within 1 miles of The Opera House, Clarus Living Manchester - Bridgewater Point Apartments offers accommodation with free WiFi, seating area and a kitchen. Offering city views, all units come with a kettle, a flat-screen TV, ironing facilities and a living room. 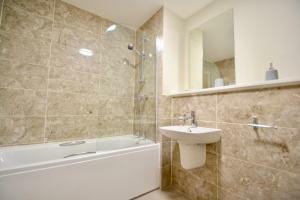 There is a fully equipped private bathroom with shower and free toiletries. John Rylands Library is 1.3 miles from the apartment. 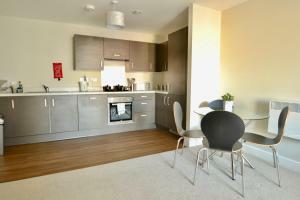 The nearest airport is Manchester Airport, 10.6 miles from the property. Salford is a great choice for travellers interested in football, convenient public transport and friendly locals. Clarus Living Manchester - Bridgewater Point Apartments has been welcoming Booking.com guests since 24 Jul 2018. When would you like to stay at Clarus Living Manchester - Bridgewater Point Apartments? This apartment has a kitchen, flat-screen TV and washing machine. This apartment features a microwave, view and toaster. 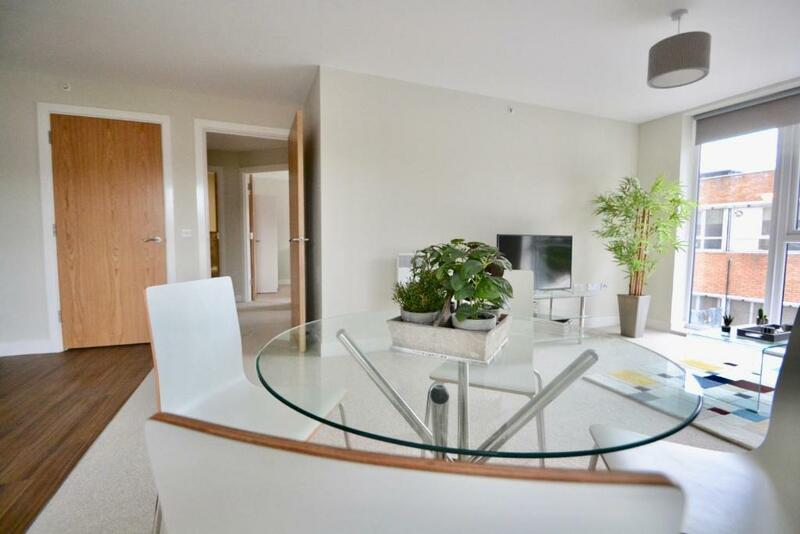 This apartment features a washing machine and flat-screen TV. This apartment features a dishwasher, oven and tile/marble floor. This apartment has a kitchen, seating area and washing machine. This apartment features a microwave, dishwasher and view. This apartment has a electric kettle, sofa and tile/marble floor. 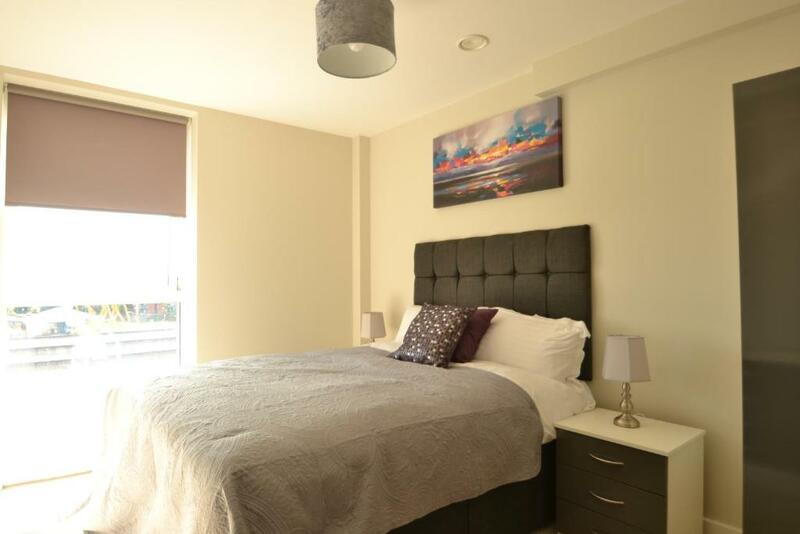 A brand new apartment building situated conveniently between Manchester City Centre and Salford Quays with easy access to Old Trafford, Trafford Park, and Old Trafford Cricket Ground. Spacious, beautifully decorated 1, 2, and 3 bed apartments suitable for business travellers, contractors, and especially for families who love lots of space and separate rooms (we have books and games for your little ones). Parking is currently on street, and free. We have wi-fi throughout (a very fast 100mbps), fully equipped kitchens, and the convenience of dishwashers, washer dryers, along with an iron and ironing board for those who need to look smart. Clarus Living was recently accredited by the Association of Serviced Apartment Providers, so guests can be assured that we have relevant insurances, conduct fire risk assessments, and take care of all our apartments and equipment so that you and your family can relax, knowing that you are as safe as you would be at home. 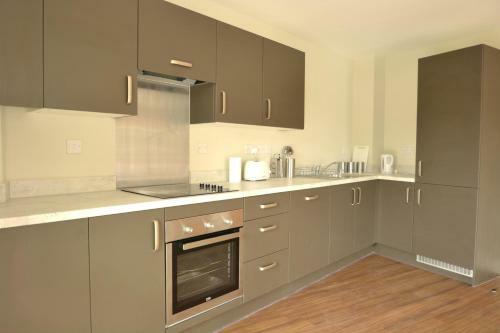 Bridgewater Point is part of a series of new developments along Ordsall Lane. A new Co-op is currently waiting to be created in the commercial unit below the residential apartments. Restaurants can be found nearby on Trafford Road, there is also a KFC and a Macdonalds towards Regents Road. Shopping can be found at Regents Retail Park. House rules Clarus Living Manchester - Bridgewater Point Apartments takes special requests - add in the next step! A damage deposit of GBP200 is required 7 days before arrival. 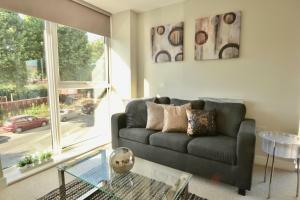 This deposit is fully refundable 14 days after check-out as long as there has been no damage to the property. Bankcard Clarus Living Manchester - Bridgewater Point Apartments accepts these cards and reserves the right to temporarily hold an amount prior to arrival. 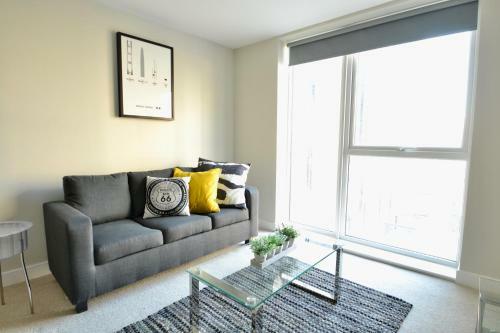 Clarus Living Manchester - Bridgewater Point Apartments accepts these cards and reserves the right to temporarily hold an amount prior to arrival. Please note that there is no reception or luggage storage at this property. The property will contact guests with a secure online booking form prior to arrival. Guests are required to complete the booking form and send it back to the property according to the property's policies given in the confirmation email. Guests must be aged 23 years or over. We require photo ID from all guests for weekend reservations. The property will contact you after booking with the link and time frame of making the payment. Please note that the key-collection for the apartment takes place at: Londis - BP Salford Service Station, Trafford Road, Salford, M50 3XL. Tell the cashier that you are there to collect a key. They will ensure they give you the correct key. Please note that the check-in and key-collection take place at: Londis - BP Salford Service Station, M50 3WL Salford. A damage deposit of GBP 200 is required. The host charges this 7 days before arrival. This will be collected by credit card. You should be reimbursed within 14 days of check-out. Your deposit will be refunded in full via credit card, subject to an inspection of the property. Very unprofessional booking process - untrustworthy business dealing failing to keep terms and condition of the booking - particularly lack of designated parking place for the stay. Unsafe parking which was not mentioned at all at initial booking. No prior cleaning of the carpets/floor in the apartment and even no vacuum cleaner provided for self-cleaning. Completely shocking is the location of the apartment next to active construction site which produced constant loud noise and heavy pollution throughout the day which made our daughter's respiratory problem a lot worse - end result is the nightmare holiday. Very poor ventilation. There was no washing up liquid or dishwasher tablets and only one bin bag. This was fair enough but it would have been useful to know we would needed to have brought this with us. There was a stale smell lingering. Maybe an issue with the drains, we became accustomed to the smell after a few mins upon entering. We also did not like that our key fob did not work, we were fine accessing the building but the lift happened to be out of order on the Friday night and we could not go any further than the lobby. We called the number for assistance and they were not really any help. Luckily we were let in by some neighbours who were returning at the same time. Apartment not ready at check in. Very complicated booking with too many lines of communication, email, text, even whatsapp !!!!. Customer Service very curt with one word answers. No light bulbs in one of the bedrooms had to walk to Sainsburys to get some. Only a 3 seater sofa and 4 dining chairs for 6 people. Poor lighting in the kitchen (just a lightbulb hanging from the ceiling) & no cooker hood light. Dirty loo seat. Building works still going on so windows filthy. No balcony or access to a roof terrace as advertised on the owners website. Only 5 forks. Labels still on the bottom of glasses. No hairdryer as stated. No mirrors in any of the bedrooms. The check in process was horrific and for this reason I am unsure whether I would stay again. Whilst the petrol station where the key collection point was, was easy to locate, it was a difficult process. I arrived shortly before 3pm to collect the keys (10 min drive from the property) which was “check in time” - I used the code sent to me and it didn’t work. I rang the company to obtain a new code and I had to repeatedly ring them as they kept saying they would ring me back and never did. This process took well over 40 minutes to finally get a new code and to get the key, all whilst standing in a cold petrol station. When I told the man on the phone that I was in a rush as I had a meeting, he suggested that I go to my meeting and come back for the keys which is ridiculous. I’m not wasting my time and effort going back and forth and I also wanted to check in and have a shower prior to my meeting. I had purposely planned my meeting time around the check in and I didn’t like his suggestions. I found them rather rude, unhelpful and unresponsive. The man working in the petrol station was lovely and as helpful as possible but he says he often has similar problems. I don’t expect to have to stand in a petrol station and be delayed then be spoken to as they did. I was informed via whatsapp before we arrived that they were trialling a meet and greet with a receptionist at the property, so after informing them of our arrival time and keeping them updated i arrived and no one was there. So I rang them and they informed me that the receptionist couldn't make them and i had to go to the garage (This was fine but it would have been nice to have been informed and not spoken to so rudely and then hung up on). We then arrived at the apartment and the swipe card wouldn't let us in, we had to ring and they rudely told us that we were informed that this was the case in an email and were given a code to get in (I checked back in my email and there was no email with this information on). The customer service staff were very rude. I checked in on 1/4. The access code was not sent to me by email. I had to phone up the helpline and after waiting for 30 mins got the access code. Place booked for 7 adults but only 6 towels provided. No pillow covers and duvet covers available for use with extra pillow and duvet for the sofa bed. Non-stick coating of the pots and pans coming off, cannot be used and I had to get my own pots and pans. No garbage bags kept in the kitchen. I am really disappointed with the way this booking has been managed. Communications with the company were very confusing and contradictory. Although the apartment was for 6 there was only seating round the dining table for 4 and a settee in the lounge for 2!